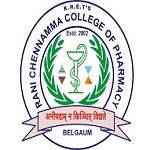 Rani Chennamma College of Pharmacy, Belgaum was established in 2006 at Vaibhav Nagar, Belgaum. The college is managed by KRET Bangalore. The college is affiliated to Rajiv Gandhi University of Health Science, Bangalore and Approved by All India Council for Technical Education (AICTE), New Delhi. The mission of the college is to stay committed in imparting quality pharmacy education to the students by empowering them with knowledge and skill. It is situated at strategic and ideal place in Karnataka a bordering state of Maharashtra and Goa. The college is spread about 3.75 acres of land which is situated in clean and pollution free environment. The college is having a well-planned multi-storied building housed with academic and administration section. The college has many other college and schools affiliated to Rani Chennamma institution. The college offers various infrastructural facilities within the campus. It has a well-furnished, organized, updated and computerized library The College has classrooms equipped with latest teaching aids, departmental laboratories, and computer labs. Library is the key source of information in campus which provides all source of study materials to the students. It has also its own fleet of buses for teachers and students. A sport facility including modern amenities are available in the campus. There is no official information available regarding training & placement. As soon as any official information will be available we will update it in this page.